Hebei is one of the birthplaces of the Chinese nation. That long and rich history has produced abundant cultural attractions like the Qing Dynasty's East Mausoleum, Chengde Mountain Resort and Shanhai Pass. Heibei also boasts 487 kilometers of coastline and a number of breathtaking natural attractions. Below, china.org.cn lists our 10 favorite Hebei attractions. China has a long, rich history of acrobatic excellence, which continues to this day. 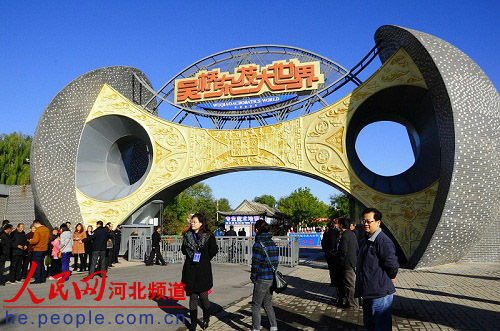 Of the many acrobatics centers in China, Wuqiao Acrobatics Center in Hebei province is most famous. Founded in 1993, Wuqiao Acrobatics World is a 200-hectare attraction featuring folk-customs, performance, entertainment and restaurants. At the end of 2003, it had attracted some 2 million visitors from home and abroad. 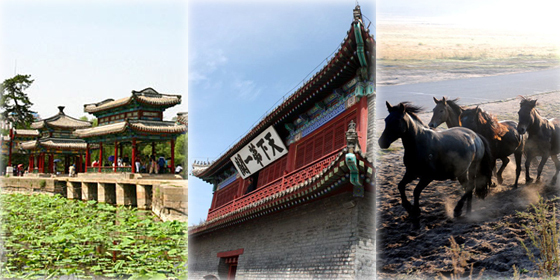 With a long history, Hebei is home to some of the best natural and cultural attractions in China.